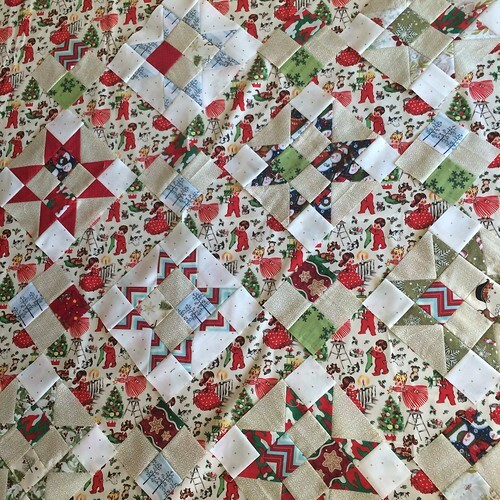 I have been participating in Brenda‘s, Stargyle quilt along and I’m excited to share my thoughts on the process so far. The idea of this quilt-a-long was for it to be a scrap buster quilt but I am not scrap hoarder. I have issues with storing scraps and in fits of tidiness I just chuck all the scraps I have. This problem might be solved with a good storage system but I am just not there yet. So when Brenda posted about this one, that did not require any purchases, I was excited to participate. 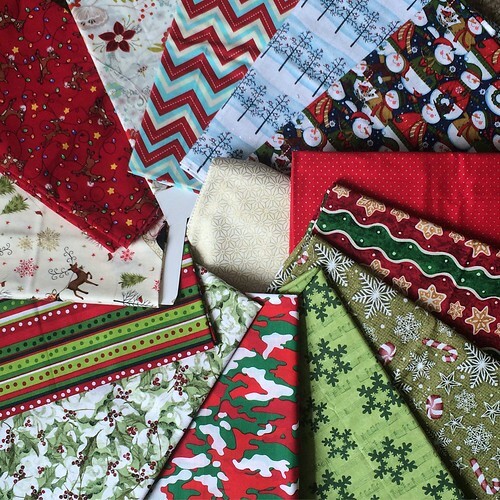 As I mentioned before I don’t have a stash of scraps but I have built up quite the collection of Christmas fabrics. I love Christmas fabric and have a tendency to buy it and hoard it. Perfect for this Stargyle venture. I would really like to have a bunch of Holiday quilts so that as seasons change I can pull out the appropriate quilt to display. I think that’ll be so cozy. So I have been thinking about and collecting Christmas fabrics for years now. As a matter of fact that Snowman material you can see in the above photograph is a piece I purchased and used in a tree skirt for my and Brett’s first married Christmas together. Next I sewed up all my flying geese and here things were put on hold while I waited for the Quilt in a Day Flying Geese ruler to arrive. It wasn’t a necessary purchase but after watching a video about how to use it I felt like it would be a very valuable addition to my sewing notions family. Finally: I’ve got all my stars assembled and I am waiting for Brenda to post instructions on sashing and top assembly. So I’ve started auditioning sashing fabric. I actually purchased this material to be the backing for my quilt but I was curious to see if it would be too busy as a sashing. I’m undecided as of yet but definitely leaning towards too busy. 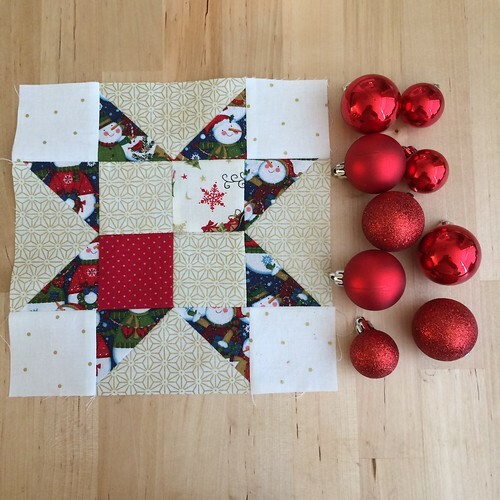 Have you made any Holiday quilts? Are you a flying geese fan or would you rather avoid them? 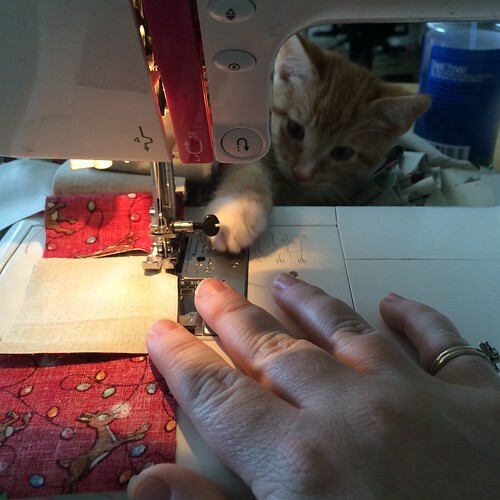 How many quilt-a-longs have you participated in?